Is Love God’s Main Attribute? “Unequal weights are an abomination to the Lord,” Proverbs tells us (20:10, 23). And this is no less true when it comes to theology. When we give more weight to God’s love then to His other attributes we are not correctly representing who He is. We are being deceiving. Deceit when it comes to earthly treasure is an abomination. How much greater an abomination when He that is infinitely worthy is falsely treated?! God’s attributes must not be incorrectly understood. The Bible does clearly teach that God is a God of love (e.g. 1 Jn. 4:8) and continued faithfulness or covenant loyalty (Ex. 34:7; Num. 14:18; Deut. 7:9; Ps. 86:15; 119:90; Lam. 3:22-23; Nahum 1:3; 1 Cor. 1:9; 2 Thess. 3:3; Heb. 10:23). However, the Bible also clearly and repeatedly teaches that God is a God of righteous jealousy (Ex. 20:4-6; 34:14; Num. 25:11; Deut. 4:24; 5:8-10; 6:15; 29:20; 32:16, 21; Josh. 24:19-20; 1 Kings 14:22; Is. 42:8; 48:11; Ezek. 8:3-5; 16:38, 42; 23:25; 36:5-7; 38:19; 39:25; Joel 2:18; Nahum 1:2; Zeph. 1:18; 3:8; Zech. 1:14: 8:2; Ps. 78:58; 79:5; 1 Cor. 10:22; James 4:5) and unrestrained wrath (cf. e.g. Is. 13:6-11; Jer. 7:20; Nahum 1:2-8; Matt. 3:12; Rom. 2:5). The Bible clearly shows that God will not clear the guilty that spurn His grace and patience (cf. e.g. Ex. 34:7; Num. 14:18; Deut. 7:9-11; Lam. 3:22-23, 64-66; Nahum 1:3). Further, the Bible never says that love is God’s main attribute or that God has a main attribute. Rather, God is; and He is perfect in all ways. “Attributes,” such as love, wisdom, etc. are anthropological, they are given so that we can understand God. Thus, these attributes should not and cannot be understood when striped from their connection to the whole of who God is. Also, though God’s attribute of love is clearly and very much on display through the whole of Scripture other attributes, such as God’s holiness (cf. the emphatic “holy, holy, holy” Is. 6:3; Rev. 4:8), could be agued to be God’s central attribute. We also see in different places in Scripture that God pours out judgment on people, clearly not to show His love, but to be glorified (cf. e.g. Ex. 9:13-16, 34-10:2;14:4; 8:13-18; 2 Sam. 24:1, 10-11; 1 Chron. 21:1, 7-8; Is. 6:9-13; Ps. 92:7 [NASB]; Rom. 9:22-24). Actually, we see various times in Scripture that God’s motivation for salvation is His glory (cf. e.g. Ps. 23:3; 25:11; 31:3; Ezek. 36:16-32 [esp. v. 21, 22, 32]; Rom. 9:22-24). James M. Hamilton Jr. persuasively argues that the story of redemption history and the Bible is not about God loving all people without exception but about “God’s Glory in Salvation through Judgment” (the title of his book). The Universalist extrapolation that since God is love He will not finally allow people to be damned eternally in hell is unfounded. Some Universalists have extrapolated that God’s glory is seen in that He has mercy and compassion and thus will display His glory more when He repeals His judgment on sinners in hell (some wrongly cite Ex. 33:19). However, these Universalists incorrectly understand the Exodus passage. Instead, through a closer look at the text we see that “God’s glory and his name consist fundamentally in his propensity to show mercy and his sovereign freedom in its distribution. Or to put it more precisely, it is the glory of God and his essential nature mainly to dispense mercy (but also wrath, Ex 34:7) on whomever he pleases apart from any constraint originating outside his own will. This is the essence of what it means to be God. This is his name” (cf. Rom. 9:6-24). God does not bow to any of His “attributes” but He is continually perfect in a unison of perfection. Wrath does not hold a place over love or love over wrath, the Son does not fight with the Father nor the Spirit with the Son, God’s Name and ways are always and forever perfect. His Name, who He is, His character, is holy (cf. Lk. 1:49). He is I AM. We do not determine who He is or what He should do. He is. And He is perfect in all His ways. So, no. I don’t think love is God’s main attribute. See Hamilton’s book length treatment God’s Glory in Salvation through Judgment: A Biblical Theology where he goes from Genesis to Revelation to argue his case or see his much smaller article “The Glory of God in Salvation through Judgment: The Centre of Biblical Theology?” in Tyndale Bulletin 57.1 (2006), 57-84. Also Jonathan Edwards argues the same point in The End for Which God Created the World (see John Piper, God’s Passion for His Glory). John Piper, The Justification of God: An Exegetical and Theological Study of Romans 9:1-23 (Grand Rapids: Baker Academic, 1993), 88-89. Italics his. The sovereignty of God is perhaps one of the most difficult doctrines in Scripture and yet one of the clearest. However, just because something is hard does not mean that it’s not helpful. To think about and discuss the sovereignty of God can be challenging but also sweet. I think for instance of the rough shell of a coconut but of the reward contained inside. Or the difficulty of building a house but of the protective refuge you have at its completion. It may at times be difficult to wade through the deep waters of God’s sovereignty but we will never get to the island of peace if we don’t. Our knowledge of God’s sovereignty is limited but Scripture certainly does not shrink back from saying that God is in absolute control. The Bible is replete with texts that teach us that is LORD of all (see e.g. Dan. 4:35; Is. 40:13,14; Rom. 9:15-18; Eph. 1:5, 11). The word “sovereignty” is nowhere in the Bible, yet the teaching is all over the place. We see that God declared the “the end from the beginning and from ancient times things not yet done.” God says “My counsel shall stand, and I will accomplish all My purpose” (Is. 46:10). Daniel tells us that “All the inhabitants of the earth are accounted as nothing, and He does according to His will among the host of heaven and among the inhabitants of the earth; and none can stay His hand or say to Him, ‘What have You done?’” Job tells us that “He is unchangeable, and who can turn Him back? What He desires, that He does. For He will complete what He appoints for me.” Indeed, “Our God is in the heavens; He does all that He pleases,” says the psalmist (Ps. 115:3; cf. 135:6). That is what is meant by the sovereignty of God. Were there even one datum of knowledge, however small, unknown to God, His rule would break down at that point. To be Lord over all the creation, He must possess all knowledge. And were God lacking one infinitesimal modicum of power, that lack would end His reign and undo His kingdom; that one stray atom of power would belong to someone else and God would be a limited ruler and hence not sovereign. Furthermore, His sovereignty requires that He be absolutely free, which means simply that He must be free to His eternal purpose in every single detail without interference. Were He less than free He must be less than sovereign” (Knowledge of the Holy, 115). I learned an important thing from a good friend, a young Christian that was struggling with drug addiction. He told me one night he was really upset so he turned on the radio hoping that it would help him. As he turned on the radio he prayed that God would play an awesome song. And my friend’s song came on, and no it wasn’t “My Heart Will Go On” (you know, the Titanic song); instead, his song is “I am Redeemed” by Big Daddy Weave. And it came on not at the end of the song, but at the very beginning. One of the lines he heard, since he heard the whole thing, was: “I’m not who I used to be. I am redeemed.” This song had a big impact on my friend and helped him fight his enslaving sin of drug addiction that night. God incarnated Himself. Became poor, despised. God is the ultimate missionary. He Himself who is the good news, brought good news. If we are going to be “missional,” i.e. intentionally evangelistic, we must focus on and learn from God the Great Missionary. God’s love is unrelenting and displayed through a vast array of means. It is tangible. It cares. It comes to us. It gives. God’s love is present, active, premeditated. God’s mission is not disconnected from who He is but expressive of who He is. God’s character, in Christ, literally bled out. God’s missionary heart is not forced but fundamental. God is a God who calls, reaches, and loves the unloving; and He always has been. We cannot expect our hearts to overflow with missional love unless we meditate on God’s love that we see expressed through the Scriptures. For the good news of Christ to overflow out of our hearts it must daily be in our hearts as good news. We don’t want the gospel and a life of love to be forced, we want it to be so natural that it pours out. We don’t just need our actions to change, we need our character to change. We need to be different. We need to care in ways that we don’t care. We want to intentionally share, not mainly because we have to but because we want to. We must regularly challenge ourselves by the active nature of mission. God did something. He was not passive. He came. He had a plan (since before the foundation of the world) and He executed it. It cost Him but He carried it out. He opened wide His arms and welcomed in the unloving and hateful world as He hung stretched out on the tree. We too must be active. We too must enter the world in tangible and intentional ways. We must have a plan and execute it; even if it costs us. We are ambassadors for Christ, God makes His appeal through us. God speaks through us! So we must implore people on behalf of Christ to be reconciled to God (2 Cor. 5:20). What does the word “Trinity” mean? And do we even see the doctrine of the Trinity in the Old Testament? Or did it just burst upon the scene with the arrival of Jesus? We will see the answers to these questions, and many more below, but first, why is understanding the doctrine of the Trinity important? It is important because a biblical understanding of the Trinity keeps us from all sorts of unhealthy, unsound, and damaging teaching. It helps us be able to dialogue with Muslims, Jehovah Witnesses, and Mormons; all of which have divergent views on the doctrine of God. Further, as we study the doctrine of the Trinity we realize the fact that God is triune has huge implications. We can know God because He has revealed Himself to us. We do not merely know that He’s out there, He’s came here. Jesus exegetes God to us. God has tabernacled among us in Jesus. In Jesus, we see the exact image of God (homoousios). Through the Spirit, we know God because the Spirit gives us His word. However, that is not it. The Spirit of God draws us to Himself. And, wonder of wonder, the Spirit dwells in us! The triune nature of God is very important because it is through the (economic) work of the Trinity that we come to know God. The triune nature of God is essential to our faith and our salvation. Without the unified work of the three Persons in the one God we would be forever damned. We need a perfect wrath absorbing sacrifice. We need “the blood of Christ, who through the eternal Spirit offered Himself without blemish to God” (Heb. 9:14). The triune nature of God shows that He is relational, loving, self-giving, and personal. God is not just some distant cosmic force. He has personhood. He has existed in all eternity past in loving relationship, odd to say, with Himself. God actually and amazingly calls us to join in that relationship with Him. He recreates us in His image and welcomes us as His sons and daughters. God welcomes us through communion, and all it represents, to have communion with Himself. God sent His Son, poured out His blood, and His Spirit, in order to welcome us to the feast where we, the Church, shall be His bride. We shall be in a consummated covenant relationship with the King where the story will have an eternal happily-ever-after. The Trinity also gives fabric and fiber to our human relationships. We have structure and not chaos when we model the Trinity in loving relationship (cf. 1 Cor. 11:3; Eph. 4:4-7). Monotheists believe that there is only one God and Christians agree. There is only one God. But the One God is three Persons in one God. We see that God is one through various passages. The Shema, the Jewish and Christian confession from Deuteronomy 6:4-5 says, “Hear, O Israel: The LORD our God, the LORD is one. You shall love the LORD your God with all your heart and with all your soul and with all your strength.” There are also many other passages that we could look at (e.g. Deut. 4:32-35, 39; 32:39; 1 Kings 8:60; Is. 40:18ff; 44:6-8; 45:5-6, 21-22; 46:9; Mk. 12:29; Jn. 17:3; 1 Cor. 8:4-6; 1 Tim. 2:5; James 2:19). Christians affirm that there is only one God and that God alone must be worshiped (cf. Matt. 6:24; Mk. 12:29; 1 Cor. 10:19-20). Christians affirm the deity of the Father, the Son, and the Holy Spirit. Christians affirm this because it is the teaching of the New Testament but, as we will see, it is also in the Old Testament, though perhaps veiled. So, let’s look at God’s Three in One nature in the Old Testament. Imagine you walk into your house at night, the lights are off and it’s very dark. Is their furniture in your house? Is their fixtures? Pictures on the wall? A TV? How do you know? You know because you’ve have seen your house in the light. However, if I came into your house in the dark I would have no idea what, where, or if there was anything in your house. Why? Because I have not seen it in the light. But just because I do not understand the contents of the room does not change the fact that there are things in the room. Correct? That is the way it is with the Trinity. The prophets, priests, and kings did not see the doctrine of the Trinity with the same light with which New Testament and post-New Testament believers see it. They longed to see it as we do (Matt. 13:17) but they didn’t. However, that does not mean that it was not there. It was there all along. So, where is the Trinity in the Old Testament? In the OT there entities that are identified with the LORD. First, the Spirit comes to mind. We see the Spirit in various places in the OT. The Spirit was hovering over the waters at the beginning of creation (Gen. 1:2 cf. Job 26:13). God uses His Spirit to accomplish His purpose (Ps. 33:6). The Spirit enters the prophets and they speak God’s word (e.g. 2 Sam. 23:2; Ezek. 2:2). Second, we see the angel of the Lord in the OT. There are many legions of angels and they are obviously not all divine (cf. Rev. 19:10; 22:9). Yet, it seems the angel of the Lord is. For example, in Genesis 22:11-12 the angel of the LORD says that “you have not withheld from Me [i.e. God] your son.” The angel in Genesis 31:11-13 identifies Himself as “the God of Bethel.” Further, “In 32:30, Jacob says of the man (called an ‘angel’ in Hosea 12:4) who wrestled with him that ‘saw God face to face, and my life was spared.’” (cf. Gen. 16:13; Ex. 3:2-6; 23:20-22; Num. 22:35 (with v. 38); Judg. 2:1-2; 6:11 (with v. 14). Third, we see that the promised Messiah is also said to be divine in some passages. From Isaiah we see that the Servant of the Lord is the one that will atone for people’s sin (Is. 52:13-53:12). Yet, Isaiah also teaches us that only God brings salvation (cf. Is. 43:3, 11; 45:15, 21; 49:26; 59:15-20; 60:16; 63:8). The crucifixion, the form of execution that Jesus endured, “more than any other, had associations with the idea of human sacrifice.” Jesus’ followers came to see parallels between His death and the Suffering Servant of Isaiah 53. Truly Paul echoes Isaiah 53 (cf. esp. v. 11) in 1 Corinthians 5:21 (see also Matt. 8:17; Luke 22:37; Acts 8:32-33; Heb. 9:28; 1 Pet. 2:22, 24-25). So Richard Bauckman has shown that there was room for Jesus in the Divine identity. So, for instance, Isaiah 9:6-7 says: “For to us a child is born, to us a son is given; and the government shall be upon his shoulder, and his name shall be called Wonderful Counselor, Mighty God, Everlasting Father, Prince of Peace. Of the increase of his government and of peace there will be no end, on the throne of David and over his kingdom, to establish it and to uphold it with justice and with righteousness from this time forth and forevermore. The zeal of the LORD of hosts will do this.” Also see Daniel 7:13-14 (cf. Davidic promises in 2 Sam. 7; 1 Chron. 17). Psalm 110:1 shows us that “the Old Testament looks forward to a deliverer who is distinct from Yahweh, yet also bear the title of Lord.” Paul, for example, would have looked at Psalm 110:1, one of the most quoted Scriptures in the NT (Matt. 22:44; Mk. 12:36; Lk. 20:42-43; Acts 2:34-35; Eph. 1:20; Col. 3:1; Heb. 1:3, 13; 8:1; 10:12; 12:20), and seen that verse 5 says that Adonai (אֲדֹנָ֥י), which was reserved only for deity in the OT, is in fact the Messiah. Our last passage we’ll look at is Isaiah 33:6: “Come near me and listen to this: ‘From the first announcement I have not spoken in secret; at the time it happens, I am there.’ And now the Sovereign LORD has sent me, with his Spirit.” John Frame points out that “the speaker is Yahweh, as the preceding context indicates. But the verse says that Yahweh has been sent by someone else, called ‘the Sovereign LORD,” together with another called ‘his Spirit. From a New Testament vantage point, we can see this as a Trinitarian passage. Interestingly, the following verse adds, ‘This is what the LORD says—your Redeemer, the Holy One of Israel” (cf. Ps. 45:6-7; Is. 48:16). The Trinity in the New Testament? It is important for us to notice that the “doctrine of the Trinity does not appear in the New Testament in the making, but as already made.” The doctrine of the Trinity is more explicit in the NT then in the OT and it seems to of been more accepted then justification by faith apart from works of the Law. In Paul’s writing for instance he argues against both legalism and license but interestingly no NT writing argues for the Trinity; rather, they suppose a Trinitarian understanding of God. Let’s look at a few texts. There are a few texts that are explicitly Trinitarian and there are others that are more implicit. We will just look at a sampling of passages. The classic Trinitarian text comes from Matthew 28:19. We are told to baptize “in the name [singular] of the Father and of the Son and of the Holy Spirit.” The baptism of Jesus is also a very important and popular text: “when Jesus was baptized, immediately he went up from the water, and behold, the heavens were opened to him, and he saw the Spirit of God descending like a dove and coming to rest on him; and behold, a voice from heaven said, ‘This is my beloved Son, with whom I am well pleased.’” Here we see God the Father (the first Person of the Trinity) speak to the Son (the second Person of the Trinity) and the Spirit descending (the third Person of the Trinity). We see the Trinity very clearly in the High Priestly Prayer of John 17. We see the Trinity in the birth narratives. “Jesus is conceived by the Holy Spirit (Matt. 1:18, 20; Luke 1:35) and thus comes to be ‘God with us’ (Matt. 1:23), ‘the Son of God’ (Luke 1:35).” We see that the Spirit of the LORD was upon the Messiah to proclaim the year of the Lord’s favor (cf. Is. 61:1-2; Luke 4:18-19). We see the Trinity in Peter’s sermon at Pentecost (Acts 2:33, 38-39). We see the Trinity explicitly in Paul’s closing in the Corinthians: “The grace of the Lord Jesus Christ and the love of God and the fellowship of the Holy Spirit be with you all” (2 Cor. 13:14). We could also look at the use of the word Lord (kyrios) for Jesus when it communicates that He is LORD (e.g. Matt. 21:16/Ps. 8:2; 1 Cor. 1:31/Jer. 9:24). We could look at the Gospel of John’s “I AM” statements (cf. Ex.3:14/Jn. 4:24 “I am [ego eimi], who speaks to you”). See especially John 8:56-58. The fact that Jesus is God was not only realized very early by the Early Church but articulated very early. So Ignatius of Antioch (c. 50-117) said in his Letter to the Ephesians, “Our God, Jesus the Christ, was conceived by Mary according to God’s plan, both from the seed of David and of the Holy Spirit” (18.2 cf. 19.3; Letter to the Romans, 3.3; Letter to Polycarp, 3.2). Polycarp of Smyrna (c. 69-155) said may “the Son of God Jesus Christ, build you up in faith and truth…, and to us with you, and to all those under heaven who will yet believe in our Lord and God Jesus Christ and in his Father who raised him from the dead (Philippians, 12.2). Justin Martyr (100-165) said “Christ being Lord, and God the Son of God” (Dialogue with Trypho, 128) and he said that he would “prove that Christ is called both God and Lord of hosts” (Dialogue with Trypho, 36). “The most concise, and arguably most fundamental summary of Old Testament teaching is ‘Yahweh is Lord.’ But the New Testament, over and over again, represents Jesus as Lord in the same way that the Old Testament represents Yahweh as Lord. The most fundamental summary of New Testament teaching is, ‘Jesus Christ is Lord’ (Rom. 10:9; 1 Cor. 12:3; Phil. 2:11)” (DG, 650). It says in Acts 5:3-4 “Peter said, ‘Ananias, why has Satan filled your heart to lie to the Holy Spirit…you have not lied to men but to God.’” Thus, we see that the Holy Spirit is God the third person of the Trinity. Also we see that the Holy Spirit is not some impersonal force but is rightly understood as the third person of the Trinity. The Spirit has personhood, the Spirit can be lied to; one cannot lie to impersonal objects or forces. We also see the Spirit’s personhood in that He teaches (Jn. 14:26), can be blasphemed (Matt. 12:31-32), comforts (Acts 9:31), speaks (Acts 28:25), can be grieved (Eph. 4:30), can be resisted (Acts 7:51), and helps us in our weakness (Rom. 8:26). Further, as we have briefly seen, Jesus was conceived by (Matt. 1:18, 20; Lk. 1:35), empowered by (e.g. Is. 11:1-2; Acts 10:38), and resurrected by (e.g. Rom. 1:4) the power of the Spirit. The Spirit is also a creating Spirit. In the beginning we see “the Spirit hovering over the waters.” So we see God the Father creates (e.g. Gen. 1:1), the Son creates (e.g. Jn. 1:1-3), and the eternal Spirit also creates (Gen. 1:2; Heb. 9:14). The Spirit also re-creates and brings new life (Jn. 6:63). Regarding the deity of the Holy Spirit we could look at many other texts (cf. Is. 61:1; 63:10; Mt. 12:28; 1 Cor. 3:16; 6:11; Matt. 28:19; Lk. 11:13; Jn. 14:26; 15:26; Rom. 8:26-27; 2 Cor. 13:14; 1 Pet. 1:1-2). When understood aright, the tri-unity of God really becomes an apologetic point. Because apart from divine foreclosure, how would Jews claim God is triune, three in one? Yet, from the beginning Christians were teaching this. Of course, we’ve seen that the tri-unity of God is in the Old Testament, though in veiled form. So the Trinity, far from defeating Christianity, is actually an argument in its favor. Something hugely significant had to happen for Jews to start expounding their Monotheism in a Trinitarian way (this is to say nothing of the Sabbath, etc.). Christ clearly showed Himself to be God and promised His followers that they would receive power from on high, the Spirit that had already empowered the prophets of old. The Trinity isn’t a contradiction or illogical, though it is without precedent. We can talk about three leaf clovers, the three forms of water, and the three-headed dog, Cerberus, which guards hades gate but all these analogues fall short. However, just because something is unprecedented or we don’t understand it doesn’t at all mean something isn’t so. Black holes, for instance, are certainly a mystery but that doesn’t invalidate them. Light is a helpful example for us. Significantly light has paradoxically been explained by scientists and theorists alike as both a wave and a particle (wave-particle duality). It is not claimed that this is completely understood but it is nevertheless believed. Thus Albert Einstein said, “It seems as though we must use sometimes the one theory and sometimes the other, while at times we may use either. We are faced with a new kind of difficulty. We have two contradictory pictures of reality; separately neither of them fully explains the phenomena of light, but together they do.” So scientists believe and claim things that they don’t fully understand, things that are shrouded in mystery, regarding the natural universe (resonance structures); so who are we to deny mystery when it comes to the supernatural God?! The person going to a new land for the first time expects to see new things yet they don’t know what and they don’t expect they’ll understand it all. Who are we to look at God any differently? Is it not the height of folly and arrogance to think this way? We realize that there are unprecedented and unclear things that we will see when visiting a new land and culture yet we think we can know what to expect and determine with God? Who are we to say that God cannot be three in one? Are we in the place to judge God? Surely we are not! We can’t or shouldn’t even judge cultures we don’t understand. We only see dimly. Who are we to say that it is illogical for God to be three in one? Further, it should not surprise us that God would be past finding out (cf. Deut. 29:29; Job 9:10; 36:26; Is. 55:9; Rom. 11:33; 1 Cor. 13:9). He is God. He has created the vast universe that we cannot begin to fathom. Within the Trinity, there may be different functions or tasks of each person in the Godhead but they are in no way out of unison. The word Trinity itself means tri-unity; three in unity. The ontological, essence, or being of the Trinity is the same within all three persons, all are fully God. However, Jesus submits Himself to the Father and the Spirit to both the Father and the Son. They in a way function like a great orchestra playing a wonderful musical piece. They all play the right part at the right time and do it in complete harmony for the betterment of the song. The great song that is sung is of God’s glory in the work of redemption. Ephesians 1:3 says, “Blessed be the God and Father [first person of the Trinity] of our Lord Jesus Christ [second person of the Trinity]” and later in verse 13 it says that we are sealed with the Holy Spirit [third person of the Trinity]. Here we see some of the functions of the Trinity. We are brought to God so that we can behold His glory through Jesus the Son (Heb 10:19) and then the Spirit is given to us as a guarantee of our inheritance. So within the Trinity there is ontological equality but economic subordination. So the essence of each person of the Trinity is that they are each fully and eternally God. Yet, they have different functions or roles within the history of redemption. Each person—Father, Son, and Spirit—are all fully God yet they are not the same person. The Father is not the Son, the Son is not the Holy Spirit, and so forth. To state it differently: The Father is God, the Son is God, the Holy Spirit is God; and yet there is only one God. Why is Understanding the Trinity Important? In the introduction I hinted at some of the reasons understanding the Trinity is important. I will give a few more here. First, as I pointed out before, I think the doctrine of the Trinity actually adds to the validity of the Christian faith because the teaching is so unprecedented. The doctrine of the Trinity though true and biblical is not unequivocal. Why would Jesus’ first follows have said He was God and said the Spirit that indwelt them was God unless something very significant happened that would allow them to say such things? It seems then, that though the Trinity is indeed a mystery it is not illogical (as discussed above) and actually helps to validate the unprecedented nature of what happened with Jesus and His first followers. Second, when we understand that each person of the Trinity is equally, fully, and eternally divine then we will wonder at the work and roles of each person of the Trinity and the perspective roles given to husbands and wives, for example, will be understood and carried out as they should be. The various parts of the body of the church will also be able to function and operate as they are called to without feeling either prideful or belittled. Subordination is not inferiority, it is Godlike. When we understand that the authority-submission structure pictures the Trinity—who is equal ontologically in essence but distinct in roles, then we see that when we chafe at the role of authority and submission within our lives, whether at church or home, at heart, we chafe at the very nature of God Himself. Fourth, we see communities and societies have a deep need for true fellowship all over the globe. This is because we were created in the image of the triune relational God. So Paul Copan says, “Because a relational God exists and chooses to create humans in His image, relationality is central to our identity as humans.” We are the way we are because we are made in the image of the triune relational God. We also see that our relational desires can be meant in God, He existed in mutual loving existence for all eternity past. The doctrine of the Trinity is one of the most important distinguishing doctrines of the Christian faith and therefore is deserving of our careful study, passionate embrace, and thoughtful application. Worship of the true living God consciously acknowledges the relationship and roles of Father, Son, and Holy Spirit. The Christian’s life of prayer must rightly acknowledge the roles of Father, Son, and Spirit as we pray to Father through the Son, in the power of the Spirit. The triune relationships of the Father, Son, and Holy Spirit cause us to marvel at the unity of the triune God. The triune relationships of Father, Son, and Holy Spirit cause us to marvel at the diversity within the triune God. The triune relationships of the Father, Son, and Holy Spirit cause us to marvel at the authority-submission structure that exists eternally in the three Persons in the Godhead, each of whom is equally and fully God. The doctrine of the Trinity—one God existing in three Persons in the ways we have described—provides one of the most important and neglected patterns for how human life and human relationships are to be conducted. The doctrine of the Trinity is important for various reasons. It is important because God is the Lord of all and we are told to know, love, and worship Him. It is important that we know what He is like as far as we are able. When we understand the Trinity, we will wonder at the fact that Jesus reached out to the leper. He, He that eternally was, is, and will be, spoke to the Samaritan woman at the well (this was unprecedented even for a Rabbi in that time as the text shows). We will tremble to think that we are Temples of God, the Spirit dwells in us. We should wonder at the glorious Trinity, not stand in judgment. Who are we to say that God cannot be three persons in one God? We must throw our hand over our mouth. We must understand that we cannot understand the incomprehensible. There are a few common divergent views in regard to the Trinity: First, Trithesim is a heretical view of God. Trithesits do not believe in the triune God who is three persons in one God; instead they believe in three different Gods; Father, Son, and Holy Spirit. Second, Modalism or Sabellianism. 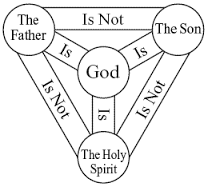 Modalists believe that God is not triune but rather that God has come in three different modes or manifestations as Father, Son, and Holy Spirit. So for the modalists there are not three divine persons but only one divine person. Third, Arianism is a heretical view that holds that Jesus was fully human but not fully God. Rather, they believe Jesus was the highest of all created beings. John Frame, The Doctrine of God¸ 622. See esp. Richard Bauckham, Jesus and the God of Israel (Grand Rapids: Wm. B. Eerdmans Publishing Co., 2008), 19. B.B. Warfield, “The Biblical Doctrine of the Trinity,” 143 as quoted in DG, 639. “It may be remarked in reference to them all that they are of little value. They do not serve to make the inconceivable intelligible. The most they can do, is to show that in other spheres and in relation to other subjects, we find a somewhat analogous triplicity in unity. 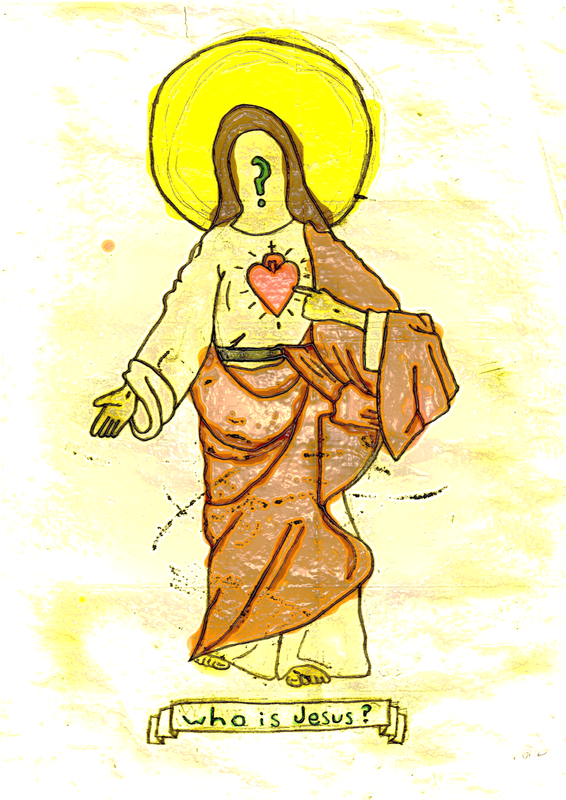 In most cases, however, these illustrations proceed on the assumption that there are mysteries in the Godhead which have no counterpart in the constitution of our nature, or in anything around us in the present state of our existence” (Charles Hodge, Sysetmatic Theology, vol. 1, 478). A. W. Tozer, The Knowledge of the Holy, 23. From an interview with Albert Einstein published in G.S. Viereck, Glimpses of the Great, (New York: Macauley, 1930). Paul Copan, “Is the Trinity a Logical Blunder? God as Three in One,” 211 in Contending with Christianitys Critics. Ibid., 215. “Christians have long pondered the mystery of the Trinity, and we’re not here trying to demystify the God whose nature and purposes can’t be reduced to tidy formulas or manageable boxes. We should celebrate the unfathomable God, who’s under no obligation to human demands to clarify everything about Himself (Deut 29:29). And why think our puny minds could grasp these “secret things” (NASB) anyway? Paul reminds us that we know partially and lack the clarity about God’s nature and ways (1 Cor 13:9; cf. Isa 55:9). “The great things of the gospel” (as theologian Jonathan Edwards put it) are astonishing, but mystery or partial knowledge doesn’t imply contradiction.” (Ibid., 210). Bruce Ware, Father, Son, and Holy Spirit, 41. In some discussions this would be classified as a discussion on the Economic Trinity and Ontological/Immanent Trinity. The economic Trinity has to do with the manifestations of the persons of the Trinity in their unique roles in dealing with creation and particularly in redemption. The ontological/immanent Trinity has to do with the essence of and interworking of the triune God without reference to God’s dealing with creation. So, as we have seen, discussions of the economic Trinity have to do with the different roles of the persons in the Godhead. Whereas, discussions of the ontology of the Trinity have to do with the fact that each person of the Godhead is ontologically equal and divine and relates to the others in mutual love. Paul Copan, “Is the Trinity a Logical Blunder? God as Three and One,” 209. Bruce Ware, Father, Son, and Holy Spirit: Relationships, Roles, and Relevance, 135. So Paul Copan says, “God is one immaterial soul (substance) with three distinct centers of consciousness, rationality, will, and agency (persons) who are deeply and necessarily interconnected, and they share the same unique divine nature” (“Is the Trinity a Logical Blunder? God as Three and One,” 209 in Contending with Christianitys Critics Answering New Atheists and Other Objectors). Ware quotes P.T. Foryth in Father, Son, and Holy Spirit: Relationships, Roles, and Relevance, 81. Ware, Father, Son, and Holy Spirit, 73. Copan, “Is the Trinity a Logical Blunder? God as Three and One,” 209. Ware, Father, Son, and Holy Spirit, 15-22. Are you troubled? Are you overcome with grief, fear, and sorrow? Are you questioning where your next meal will come from? Do you hear the nations rage and shrink in fear? And are accounted as the dust on the scales (Is. 40:15). They are accounted as less than nothing and emptiness (v. 17). We may not know what will happen or how we will get through, but we serve He who does. We serve the One who “stretches out the heavens like a curtain” (v. 22). If we are down in despair and do not know where our help will come, we must lift up our eyes and see (v. 26a): Who created these? Who numbered the stars? Who calls them all out by name (v. 26; there are some 100 billion stars in our galaxy)? Thus, why do we say, “My way is hidden from the LORD, He does not see me, He does not care” (v. 27)? they shall walk and not faint (vv. 28-31). O’ LORD, our God and Father, we wait on You, we trust You. We know that You see, that You care.